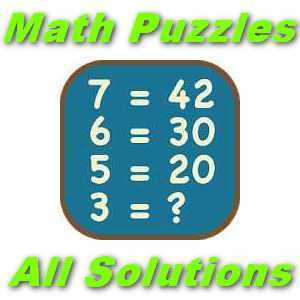 Math Puzzles All Level Solutions and Hints are available on one page. If you want some answers them scroll down to the page. Math Puzzles game has a lot of levels with more difficulties and challenges but if you need any help with any level then you are on the right page.